By following a few tips, you can easily get your toddler to read. Most of these are simple games or reading activities you can carry out with your child any time of the day, when you two have some free time together. Okay, now let’s move on to the 10 ways! Play rhyming games. 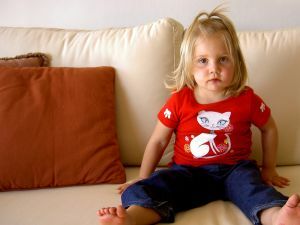 Research suggests that toddlers learn quicker when they can associate reading with rhyming words. Rhyming helps teach learning recognition and will make it easier for your toddler to see patterns in sounds. Clap out syllables. When working with longer words, begin clapping out syllables to assist your toddler with recognizing them. Explain the difference of one syllable versus two and so on. Coupling clapping with rhyming is also an effective way to teach your toddler. Put magnetic letters on the refrigerator. You can find the ones that are large enough so they’re not considered to be a choking hazard. Toddlers have a habit of playing with everything. This is why it’s a good idea to keep some magnetic letters around for your child to play with. Encourage playing with the magnets and praise him for spelling words out. Play I Spy with letters instead of colors. Playing I Spy with letters is a great way to teach your child different words and how to place those words with objects. Start out with easier words like tree, dog or car before moving on to harder objects like street and leaves. Don’t use baby talk when you speak to your toddler. With a toddler, you may be tempted to use baby talk when trying to get him to understand a word. However, this can be bad for his learning. Words and letters will be mixed from the baby talk to the regular way of saying words, making it more confusing for your toddler to learn different words and sounds. Ask your toddler some interactive questions as you read to him. When you ask questions while you read to your toddler, you’re teaching reading comprehension. Not only does this help your toddler understand the story, but he’s also more likely to retain what he hears you read. Now that he’s 3, he would usually have some questions for me as we read together. While I read to him, he eyes would quickly take in the pictures and he would ask me questions about what he’s seeing. This way, I know that he is thinking about the story and trying to comprehend what’s happening between the pictures and the words. Have your toddler read to you. A toddler’s reading tends to become less stilted the more he reads out loud. Set aside a time of at least three times a week for your toddler to read to you instead of the other way around. This teaches your toddler to not only sound out letters and words, but also how to read to someone. But sometimes, your child might take the easy way out and want you to read instead of him doing the reading. What I would do in such instances is to tell my son that, I would read first and when I’m done, he would read the book back to me. It usually works. Read with your toddler on a regular basis. When you read to your toddler, you set a great example for him. He sees how much you enjoy reading and learns that it’s a fun activity to do. Don’t skip out on bedtime reading. Especially when you don’t have other times of the day to do the reading. Reading before bed is one of the key factors in teaching your toddler to read. If your toddler has a favorite book, read it as many times as you can with him throughout the week. This helps him learn words as well as encourage a love for reading. Make your own books. Encourage your toddler to be creative and make his own book. Let him draw the pictures and tell you the story as you write it down. Making the story and pictures come together is an important part of the reading process. What’s your favorite way to encourage your toddler to read? Share it with me here, I’d love to hear about it! 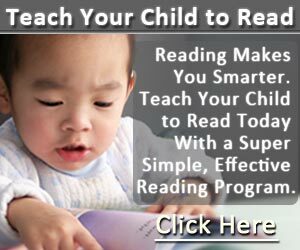 ← How to Teach a 3-Year-Old to Read at Home?